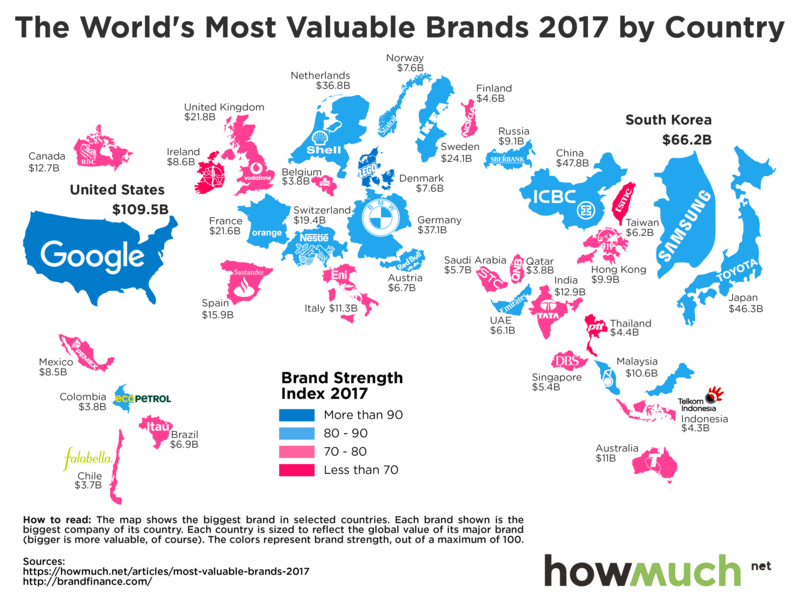 Below is an interesting map of the biggest brands in different countries around the world. As of 2017, Alphabet’s Google brand is worth $109.47 billion, and Apple is valued at $107.14 billion. Amazon is in third place with $106 billion. This entry was posted in Data Analysis and Visualization, Past, present, and future, Research, Top 10, Top 20, Top 50, Top 100 and tagged most valuable brands. Bookmark the permalink.